Every year we see lots of new research on the effect of artificial light at night on various types of wildlife. Many of us know of the impact of light pollution on wildlife such as moths, migrating birds and sea turtles, but there are others you might not be as familiar with. Here are three such examples. 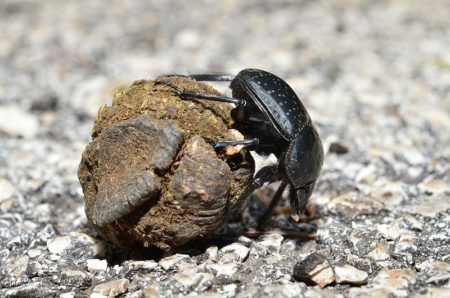 A dung beetle, Scarabaeus sp (Coleoptera, Scarabaeidae) rolling its dung ball. Photo via Creative Commons. Even while pushing their dung balls with their back legs, head facing down, dung beetles are found to be able to astro-navigate using natural light sources. A study done at the University of the Witwatersrand in South Africa placed dung beetles into a planetarium to study their navigation. Instinctually, when beetles find dung piles, they quickly gather their individual dung ball, moving in straight lines away from the rest in order to avoid the other competing beetles. Researchers found that displaying similar light to the Sun, Moon, and the Milky Way, the beetles were able to mimic their natural behaviors of moving in straight lines. When they turned all light sources off, the beetles scattered about chaotically, seemingly without any ability to find their way. Fireflies and Star Trails. Photo by Mike Lewinski. 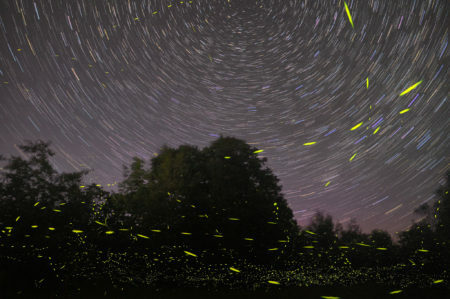 The familiar glowing patterns of fireflies are a crucial part of their mating rituals. Each species of firefly has a characteristic pattern of flashing light that helps its male and female individuals recognize each other. The males fly and flash, while the usually stationary females respond with their own flashes. A recent study suggests that light pollution may disrupt this carefully conducted ritual. The researchers subjected ‘big dipper’ fireflies (Photinus pyralis) to artificial light, and found that the females didn’t flash back at the male as often as those not exposed to light, resulting in fewer of those females mating. 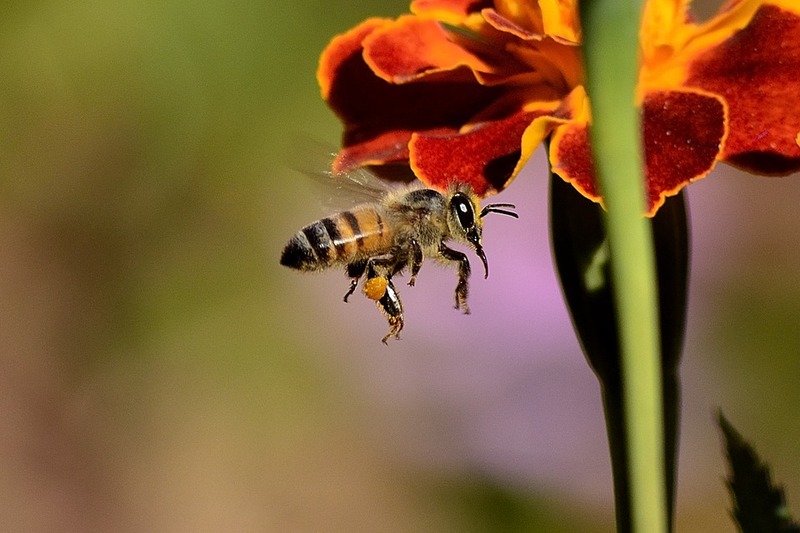 But, the researchers found that the firefly areas subjected to the artificial light at night didn’t not appear to have lower populations then those that were not, at least in the short term. Further research may reveal how firefly populations are affected in the long term by exposure to artificial light. New studies are regularly published linking exposure to artificial light at night to harmful effects on various wildlife species. We are just beginning to uncover the complex ways that light pollution wreaks havoc on the environment. Fortunately, light pollution can easily be solved with good lighting design. Learn how you can help!